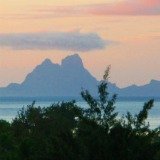 Searching for all inclusive resorts in Tahiti? 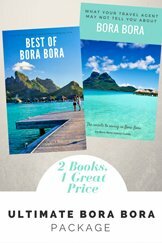 Let me show you how to create the perfect all inclusive Tahiti vacation! I had the pleasure of working as a Club Med G.O. for a few seasons so saw the benefits of the amazing family vacation that is provided by a truly “all inclusive vacation”. 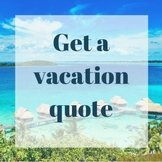 It's wonderful to have all expenses accounted for before the trip, every detail thought of and organized, and then be able to relax and enjoy your vacation. The variety of resorts in Tahiti allows you to create the perfect 'all inclusive Tahiti vacation' for you! Since the closing of Club Med Bora Bora and Moorea, there are no more all inclusive resorts in Tahiti. 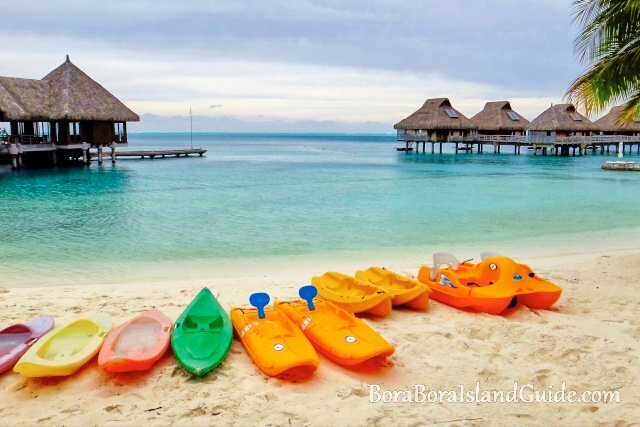 Club Med in Bora Bora was a loved icon on the island. 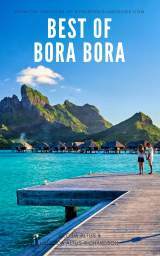 Not only by the vacationers, but also by the locals, who enjoyed coming to be part of the night life that Club Med offered the island of Bora Bora. Speak to any of the local resort workers, and you will hear them talk of the good old days when Club Med was on the island. 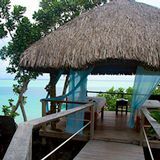 The loss of this resort was sad for the island, and the vacation opportunity it gave to travelers to Bora Bora at a very good price was missed by those seeking an all inclusive resort for a Tahiti vacation. The good news is that more glamorous resorts have been built around Bora Bora's awesome lagoon. The Four Seasons resort and the St Regis Resort are the newest of these resorts, and they epitomizes luxury in Paradise. 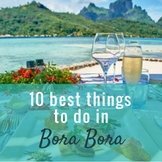 And there are so many other beautiful Bora Bora resorts to choose from! 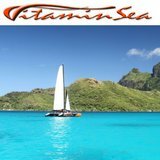 They all have something wonderful to offer a Tahiti vacation. And the good news is that each resort offers some complimentary activities! 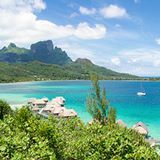 Still want to vacation at all inclusive resorts in Tahiti? Well you can! 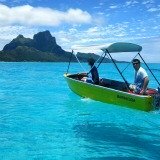 You just have to work with a Tahiti specialist and design an all inclusive Tahiti travel package. And this is simple to do! 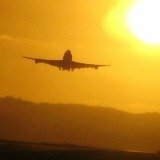 You can pick a package on offer or design your own with your agent. You can bundle in as much as you want to create an all inclusive package. 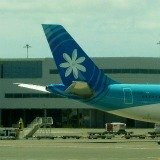 Packages usually include your Tahiti airfare, transfers, and hotel accommodation. A good special will also include a meal plan and maybe even an excursion or two! 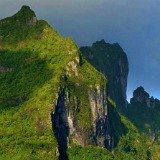 The great thing about working with a Tahiti travel specialist is that you can design a package as complete as all inclusive resorts in Tahiti could offer you! This allows you more control over the vacation style that you create. 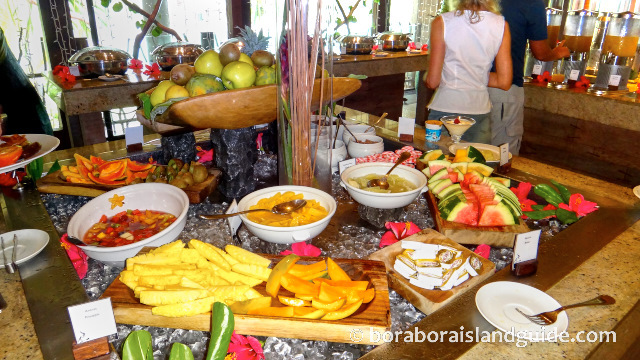 Read our guide on food costs in Bora Bora to decide how much dining you want to include in your package. And the good news is that each resort offers some complimentary activities. 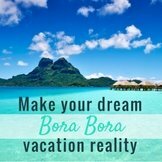 Choose from any of the beautiful Bora Bora resorts to begin creating an all inclusive style vacation. 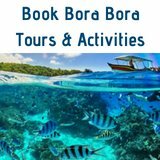 Planning a Bora Bora honeymoon and want intimacy or privacy? 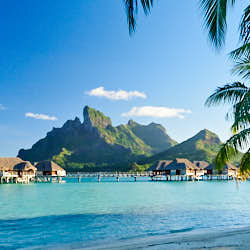 Create your all inclusive Tahiti package at the St Regis Bora Bora. Going with the family and want the kids looked after with fun, supervised, all day activities in the dedicated children's areas? 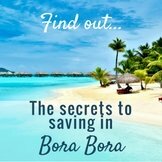 - Stay at the Four Seasons resort Bora Bora. 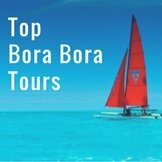 Have a look at what each of the unique Bora Bora resorts have to offer and start preparing your all inclusive resorts in Tahiti package.